Sandwich High Sensitivity ELISA kit for Quantitative Detection of Human BDNF. 96wells/kit, with removable strips. Brain. Highly expressed in hippocampus, amygdala, cerebral cortex and cerebellum. Also expressed in heart, lung, skeletal muscle, testis, prostate and placenta. .
During development, promotes the survival and differentiation of selected neuronal populations of the peripheral and central nervous systems. Participates in axonal growth, pathfinding and in the modulation of dendritic growth and morphology. Major regulator of synaptic transmission and plasticity at adult synapses in many regions of the CNS. The versatility of BDNF is emphasized by its contribution to a range of adaptive neuronal responses including long-term potentiation (LTP), long-term depression (LTD), certain forms of short-term synaptic plasticity, as well as homeostatic regulation of intrinsic neuronal excitability. .
Brain-derived neurotrophic factor(BDNF) is a prosurvival factor induced by cortical neurons that is necessary for survival of striatal neurons in the brain. It is a secreted protein with the molecular weight of 27.8kDa, consisting of 247 amino acids. It is known to promote neuronal survival and differentiation. BDNF shares substantial amino acid sequence identity with nerve growth factor(NGF). BDNF and neurotrophin-3(NT-3) are two recently cloned neurotrophic factors that are homologous to NGF. mRNA products of the BDNF and NT-3 genes are detected in the adult human brain, suggesting that these proteins are involved in the maintenance of the adult nervous system. BDNF and other neurotrophins are critically involved in long-term potentiation(LTP). BDNF-mediated LTP is induced postsynaptically. BDNF has trophic effects on serotonergic(5-HT) neurons in the central nervous system. BDNF has an essential maintenance function in the regulation of anxiety-related behavior and in food intake through central mediators in both the basal and fasted state. It plays a role in treating breathing disorders such as respiratory insufficiency after spinal injury. The mature form of BDNF is identical in all mammals examined, and the gene encoding human BDNF to chromosome 11, band p13. Shi Y, You J, Yuan Y, Zhang X, Li H, Hou G. Psychiatry Clin Neurosci. 2010 Jun;64(3):249-54. Doi: 10.1111/J.1440-1819.2010.02074.X. Plasma Bdnf And Tpa Are Associated With Late-Onset Geriatric Depression. Zakharyan R, Boyajyan A. Clin Biochem. 2014 Aug;47(12):1052-5. Doi: 10.1016/J.Clinbiochem.2014.03.021. Epub 2014 Apr 5. Brain-Derived Neurotrophic Factor Blood Levels Are Decreased In Schizophrenia Patients And Associate With Rs6265 Genotypes. Q: Does EK0307 have any cross-reactivity with other neurotrophins, especially proBDNF? A: EK0307 is able to detect total BDNF. It has no significant cross-reactivity or interference with the following factors: BDNF (pro-domain, aa 19-128), NGF-beta, NGFR, NT-3, NT-4, TrkA, and TrkB. A: The expression system of the standards can be found in the product page under ""immunogen"". It tells you both the expression system and the sequence information. The standards do contain carrier protein. The carrier protein is BSA unless the target protein is also present in BSA--in such cases please contact us for details of the carrier protein. 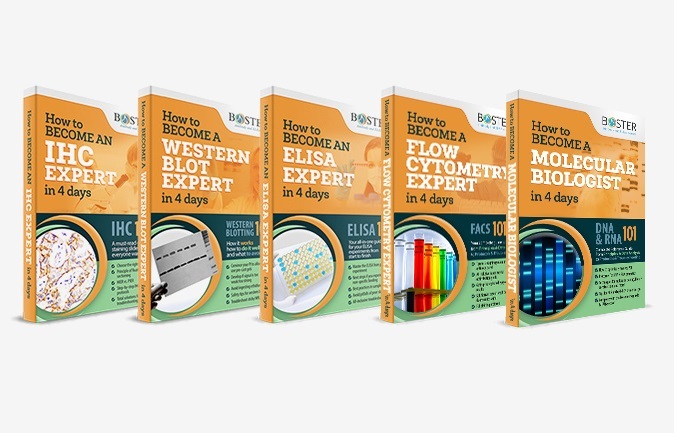 Q: Will this ELISA kit work on saliva or nasal washes? A: We have not validated this kit on saliva or nasal washes.It can be detected if the concentration of BDNF in saliva or nasal wash samples are in the detection range of the kit. Q: My samples have highly concentrated levels of BDNF and require more than normal dilution. Can you provide any extra (~ 90 mL) sample diluent? Do you sell the diluent separately? A: Yes, we sell the diluent separately (Boster Catalog# AR1106-1). In fact, the sample diluent buffer in the kit is generally enough. For instance, if the dilution ratio is 1:20000, it is not necessary to dilute the samples at 1:20000 in just one step. 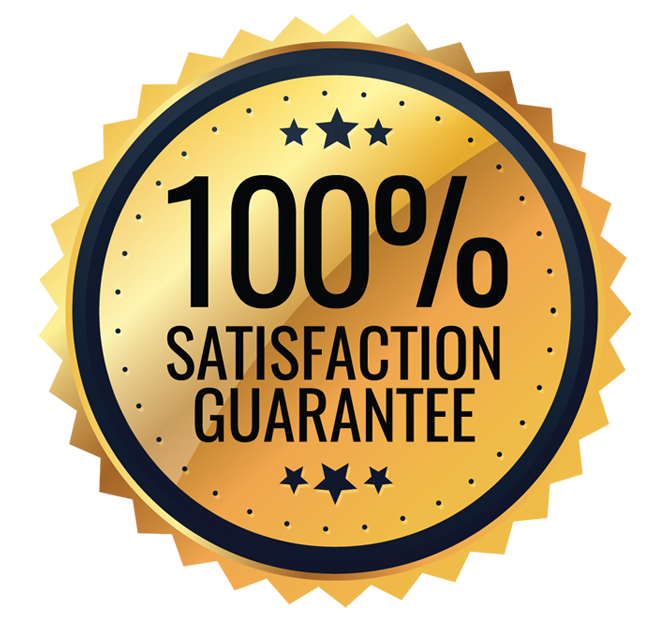 Instead, we suggest you sequentially dilute the samples: 1:100, 1.200, etc. That way, you can use less diluent buffer. Q: I am interested in performing Western Blot (WB) using the antibodies from your human and mouse BDNF ELISA kits. Is it possible to order the primary antibody (the capture antibody) that is pre-coated in the wells for the sandwich ELISA? (In this case that would be the monoclonal antibody from rat for the mouse kit, and the monoclonal antibody from mouse for the human kit). Is it also possible to order your secondary antibody which is the biotinylated detection polyclonal antibody from goat specific for BDNF? A: The antibodies used in those ELISA kits are not fully validated on WB. Also, since these antibodies are made from recombinant proteins, they are often less reactive to retrieved antigens in WB or IHC due to the lack of tertiary structure in the retrieved antigens. If you want to test human and mouse BDNF with WB, please use our anti-BDNF antibody (PB9075). Further, you can separately buy our secondary antibodies. Q: Which isoform (mature or precursor) does this ELISA assay detect? 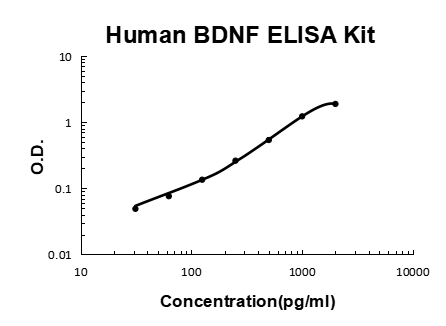 I am also wondering if the dimer form of mature BDNF can be detection by ELISA. A: The assay recognizes both of mature and precursor isoforms of BDNF and can detect the dimer form. So, this detects total BDNF.